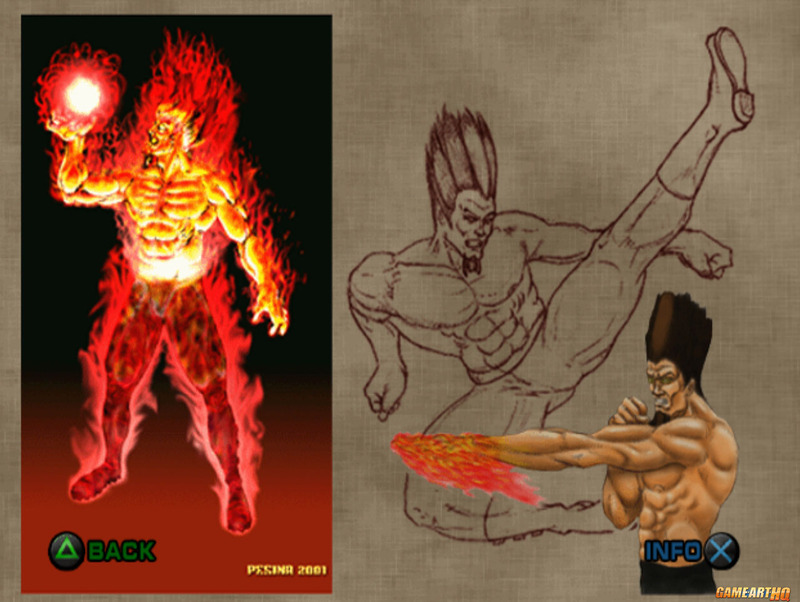 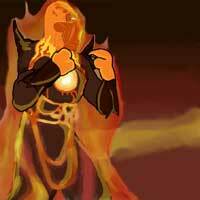 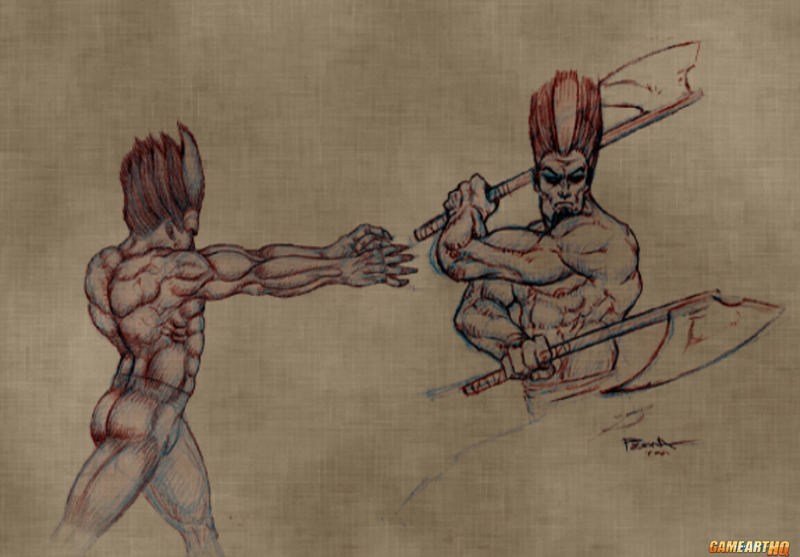 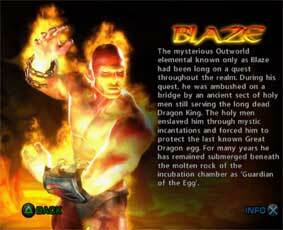 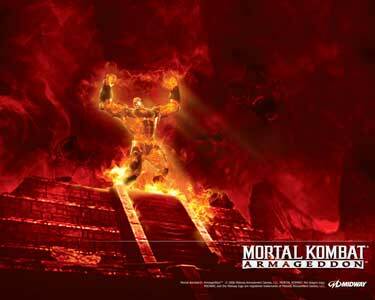 Blaze is a playable character from the Mortal Kombat fighting games. 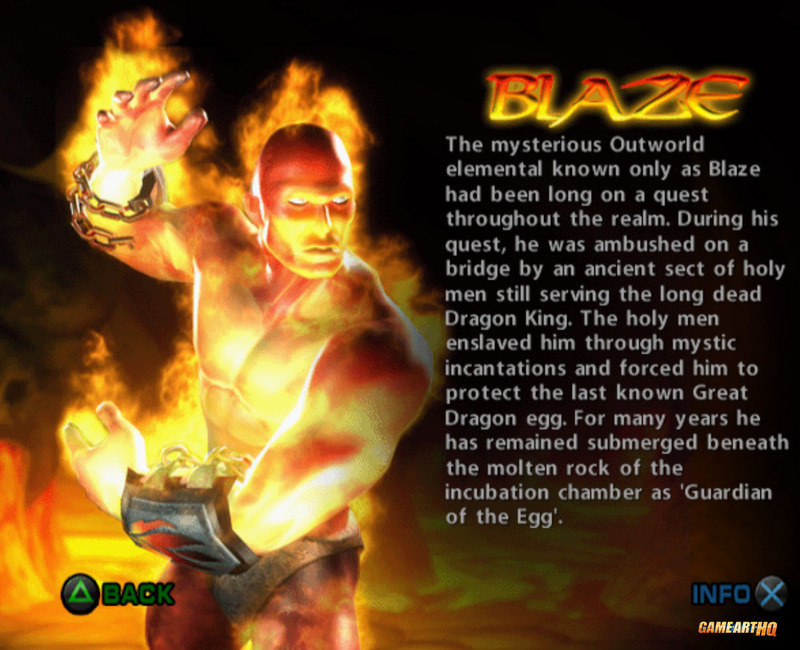 He debuted as an unlockable character in Mortal Kombat: Deadly Alliance (2002) where he has no own moves but is a part of the background story and has an own ending as well. 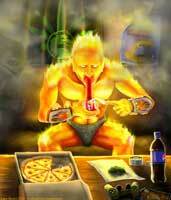 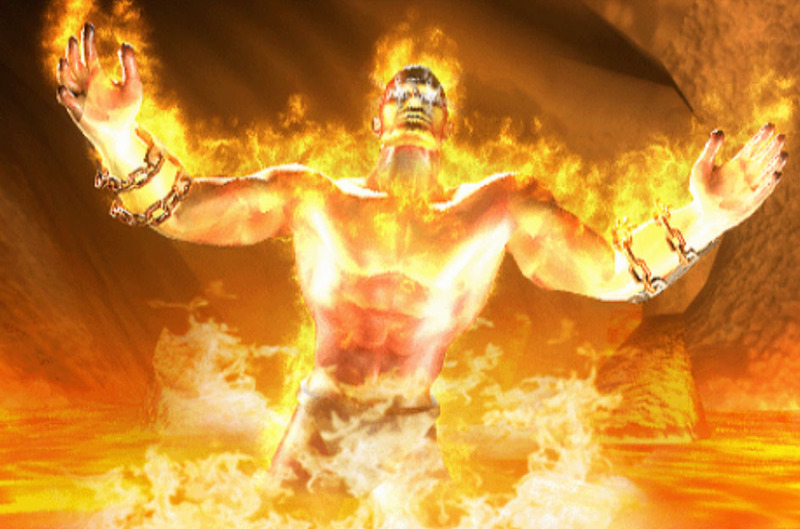 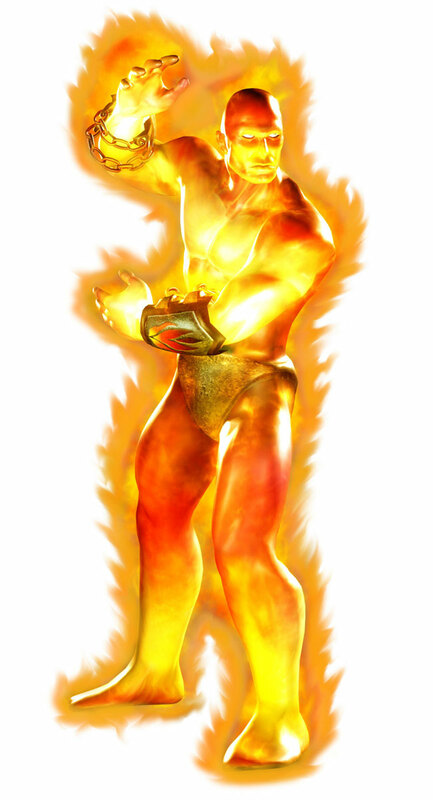 Blaze looking like a burning human in that game. 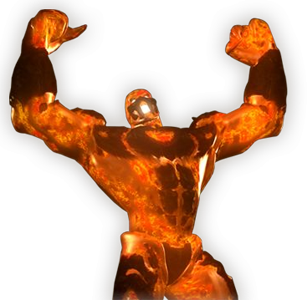 He returned as the final boss in a much stronger looking form in Mortal Kombat: Armageddon (2006) where he is again an unlockable character.